Sebastian returned to North Yorkshire to provide osteopathic treatment for the people of Knaresborough, Harrogate, Ripon, Wetherby and the surrounding villages of the Harrogate District. 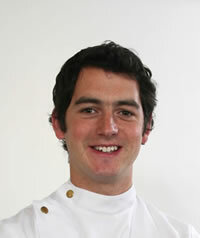 Sebastian has been made a full member of the British Osteopathic Association (BOA) as well as the Osteopathic Sports Care Association (OSCA) and is state-registered with the General Osteopathic Council (GOsC) a body concerned with the continued professional development (CPD) of practitioners. A firm advocate of CPD Sebastian regularly attends courses to update his skills and keep abreast of current developments in the world of Osteopathy & Medicine.